One major change from Palin’s “Going Rogue” book signing tour has been the emergence of what appears to be a steely determination, supported by a striking enthusiasm, as Palin’s supporters ask her to run in 2012. This is very evident in the print media reports where journalists remark on this phenomenon, and it is clearly seen in the television clips from her various stops. Her first tour was remarkable for a tremendous outpouring of emotion, and the attendence was possibly augmented by curiosity seekers.This tour is possibly less well attended, which is natural given the generally smaller locales she is stopping at, but the enthusiasm seems, if possible, stronger. It is noticeable also that the enthusiasm this time is of a different nature, seemingly having an undercurrent of looking forward rather than being a result of the emotion of the moment. It would seem that Palin’s supporters have gone on a journey with her over the last year, and the endless media attacks on her have reinforced a strong determination to, as one lady put it, “support her in any direction forward she wants to go”. This forward-looking support is clearly that of people who are determined to vote for and campaign for “a real American who shares our values,” as person after person has described Palin. It was interesting to note that, while there was some of the usual “run Sarah run” chanting by the crowd, this was also a message delivered straight to the Governor as well as to the media when asked. It was done in an eye-to-eye, person-to-person manner which reflected a mature, thought-out decision by people who have a vision of a renewed America, and who have determinedly decided whom they have chosen to lead this country towards that vision. Governor Palin signed copies of her new book, America by Heart, at Sam’s Club in Little Rock last night. Enthusiastic fans braved the cold to stand in line for hours to get her autograph. With her new book out and her new reality show on television, many wonder if this will lead up to another run for the White House. The book cover for “America by Heart” says it’s about Sarah Palin’s take on what it’s like to be an American. Today’s long line was full of people who came out because they say they identify with Palin and her emphasis on faith and family. The chilly temperatures and long line couldn’t keep these Arkansans from Sarah Palin. They came bundled up, and started lining up before the sun came up. Caster drove nearly three hours from Baxter County and was the first person in line at Sam’s Club. But the line was filled with people equally as anxious to shake Palin’s hand and get her John Handcock on her latest book. After the long wait, once they made it through security, it was the moment they’d been waiting for. Each person got a few seconds with the former governor of Alaska. She made small talk as she routinely autographed book after book, signing her name only on a predetermined page. People waited hours for 10 seconds, but say it was all worth it. While many were there for themselves, some got books signed as gifts for their grandchildren. Only 500 people were guaranteed signed books, but Sarah Palin signed a few dozen more than that and wrapped up around 8 o’clock. Waiting in the cold for hours was completely worth it for hundreds of Sarah Palin’s fans who turned out for the former Vice Presidential candidate’s book signing at Sam’s Club in Little Rock. The former Alaskan Governor’s signature meant so much to the nearly 500 people who braved the cold to get a wristband at 10am, and then have Sarah Palin sign a copy of her new book at 5:30pm. “These are not new arguments on either side. They go back more than 80 years. Over that long span of time, there have been many sharp cuts in tax rates under presidents Calvin Coolidge, John F. Kennedy, Ronald Reagan, and George W. Bush. So we don’t need to argue in a vacuum. There is a track record. “What does that record say? It says, loud and clear, that cuts in tax rates do not mean cuts in tax revenues. In all four of these administrations, of both parties, so-called “tax cuts for the rich” led to increased tax revenues — with people earning high incomes paying not only a larger sum total of tax revenues, but even a higher proportion of all tax revenues. But as Sowell later points out, having a proven time-tested policy isn’t enough if we don’t articulate it. We need to remind people that tax cuts help everyone. And we should also remind the Democrats that many of the so-called “rich” they’re dismissing are our small business owners who account for 70% of all job creation in this country. At a time when we need job growth, we should not target job creators with tax hikes. Closing our deficit gap requires us to cut spending, but we also need to spur economic growth. With that in mind, the last thing we should do is hamper our economic innovators and entrepreneurs with excessive taxes, overly burdensome regulation, and more uncertainty. This is not a difficult argument to make. It’s common sense. Here is the challenge and clarion call from Mortimer B. Zuckerman-who else but Palin has the will and fortitude to respond to it? Fiscal responsibility and discipline are going to be critical issues in the formulation of public policy. The debates in this election season, sidetracked on emotional but marginal issues, have been depressing. We cannot continue to mortgage our future by reducing investments in our future, whether it be for education, infrastructure, or basic research. We still possess the most appealing popular culture and public values, as well as the most innovative and competent business culture. American exceptionalism endures. But we must confront our dysfunctional and profligate government. 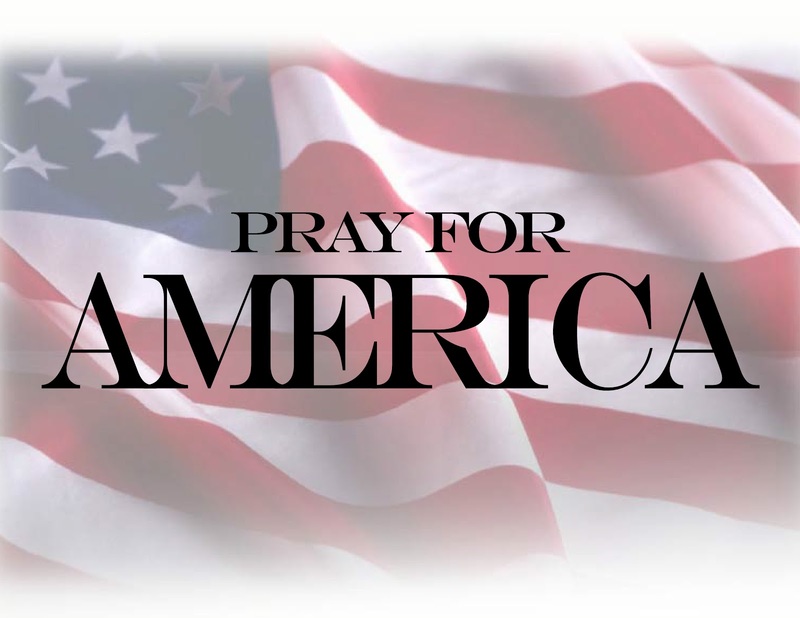 America was founded on the principle of creating a better life for our children and grandchildren. We can do it. We aren’t doing it! As Sarah Palin contemplates a possible 2012 presidential run she has been forward regarding America’s current economic failings and has prescribed clear remedies These include; “In her 2009 book, ‘Going Rogue,’ Palin offered a remix of 1980s-style Reaganomics — low taxes, less government spending, strong dollar.” And further: Palin has recently cautioned against the Fed’s policy of quantitative easing that injects printed money into the economy with the hope of spurring economic growth, but at the risk of sparking inflation. She has won some grudging praise from conservative economists”. As a support to the overriding philosophical/economic concepts behind Palin’s economic plans and analysis, it might be instructive if an example of how an alternative economic policy to hers might turn out. There are those on the left still supportive of the big government concept, even after seeing the miserable examples of the end result of such economic paternalism.But they never seem to learn-here’s Robert Reich, a former U.S. secretary of labor, professor of public policy at the University of California at Berkeley. “The real solution lies in changing that structure: making the taxes more progressive,…”Yes-lets raise taxes on the entrepreneur class, that is a sure recipe for success, no doubt all Berkeley professors would agree in their tenured security. However, cautionary examples abound. As Palin further contemplates the economic way forward it might be of value to look at the example of Portugal which is teetering on the brink of bankruptcy and bailout. The last ten years saw an average of 1% economic growth. Billions of Euros in government bonds will have to be refinanced next year. The state budget deficit reached 9.3% of GDP last year with an estimated public debt of 112% of GDP. Portugal didn’t shed its post-revolution labour laws which made it hard to fire workers as trade unions stood in the way of attempts to modernize. Laying off workers is a bureaucratic entanglement and entails hefty compensation payments and workers can refuse proposed changes to their working hours. There is a bloated civil service whose members can’t be fired except for extreme misconduct. Education and productivity levels are amongst Europe’s lowest. Reluctance to take on risks has kept productivity low-it stand s around two-thirds of neighbouring Spain. State-owned companies are amongst the most inefficient with massive debts. The government forces public transport companies to keep prices artificially low and pays them compensation for their losses. Portugal is an example of an alternative to an economic policy of market led growth. This can be summed up as a regulated against restricted practices/dishonesty free market economy, which rewards innovation and hard work, and punishes inefficiency by letting failed companies fail. It allows for labor market efficiencies -mobility of labor-by letting, over time, labor be employed in the most efficient, productive capacities whilst ensuring high standards of employee protection through fair labor laws which protect but don’t restrict. It provides for limited, but watchful government, fair free trade, and progressive moves to a balanced budget. It sees education as the best investment of all. We are fortunate to be living at “the end of history” where we do not have to indulge in conjecture as to which economic system works best i.e. communism/socialism/capitalism, the answer is indisputably clear.The remaining argument is one of big spending, deficit creating “big government’ versus limited, balanced budget government. The example of Portugal will, hopefully, assist in putting paid to the big government idea. It, Portugal, does serve a wider purpose however, it provides potential President Palin with a clear example of what may happen to America if her economic “common sense” plans are not put in place after 2012. 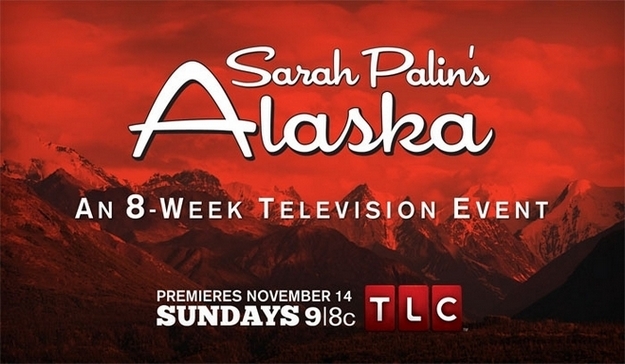 Sarah Palin’s Alaska delivered 3.5 million viewers Sunday night, rising 17% at the conclusion of the holiday weekend. Normally when ratings go down double digits for a second episode, the third outing generally falls at least a little, but not in this case. Palin may also have benefited from some weaker competition (ABC had the Country Music Awards the previous week). Even so, this is great news for TLC. This is quite delicious. When last week’s numbers came out, and showed a drop off from the record breaking premier episode’s numbers, the loony left proclaimed [for what seems like the billionth time] Sarah Palin was done. Of course, this is insanity, but I guess we should expect that from the insane! The first episode benefited from unprecedented promotion, including a roll out the week before in theaters nationwide. This created an incredible buzz..
As stated above week two was hurt by not only a competitive football game, but the CMA’s as well, and there is a ton of audience crossover there. Of course one thing these ratings reports fail to take into account is the fact that viewers learned if they missed the show on Sunday, they have several opportunities during the week to see the show after it’s original airing. The media is only reporting on the Sunday night audience, so the numbers are not total viewership. One thing about it, Sarah Palin’s Alaska is a real hit and drawing more than respectable numbers. Liberals and RINOs hardest hit!